Traveling in Taiwan, I’m lucky to have Mandarin speakers around me. If it was just me exploring the island, I’m not sure that I would have seen all the things I have so far. I’m grateful for this. 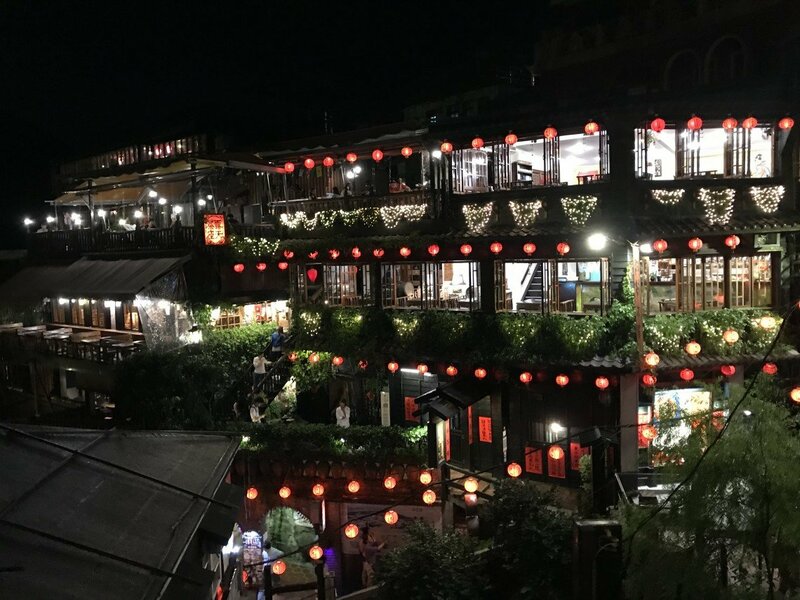 That said sometimes, having a decent understanding of a language is not enough—case in point, what happened in Jiufen (九份 / jiu fen). I was exploring the City of Sadness for a second time. 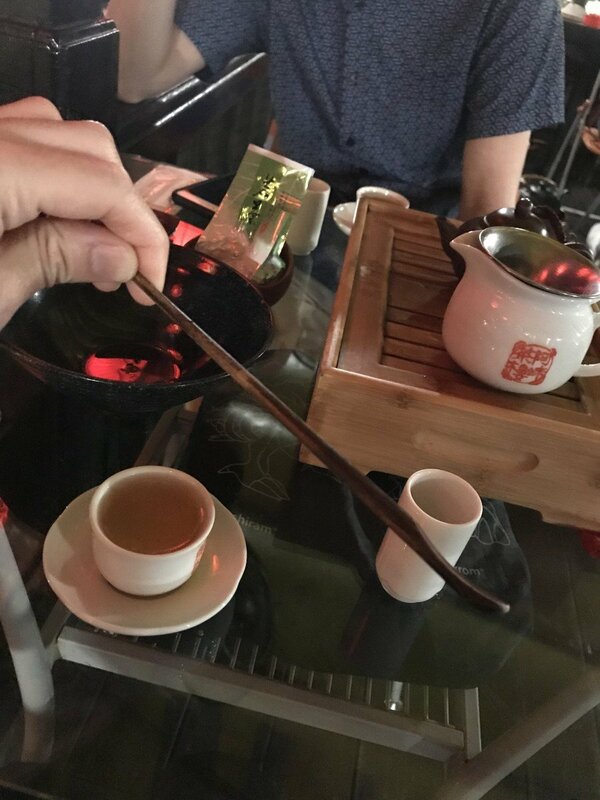 My partner and I decided to break away from the main group to enjoy some tea at the famous Amei Tea House (阿妹茶樓 / a mei cha lou). 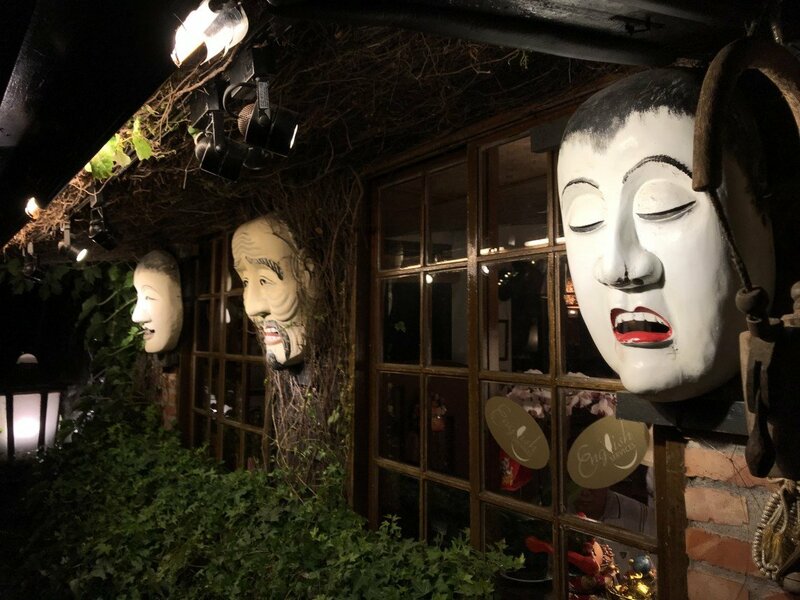 More than any shop in Jiufen, Amei resembles the world of Spirited Away with its red lanterns and larger than life masks adorning the entrance. 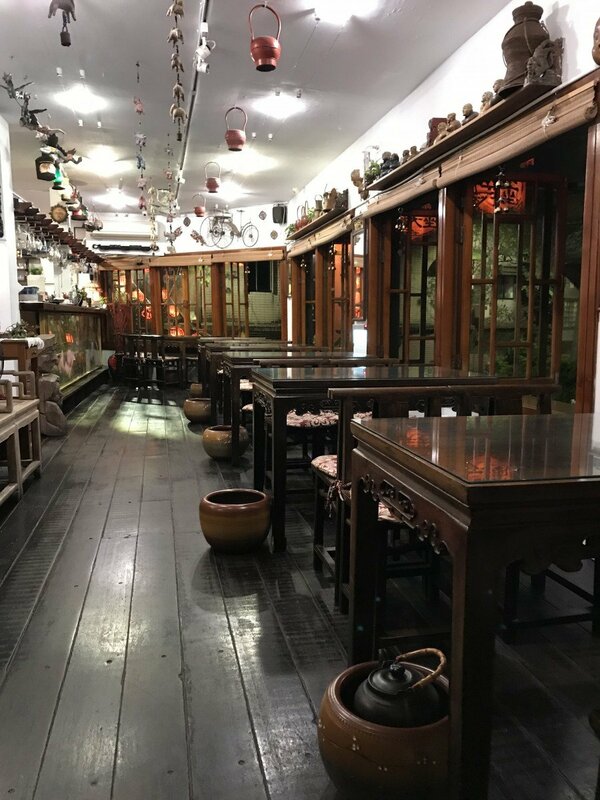 When I first went to Jiufen, I remember being entranced by the presence of this teahouse. It was stunning both architecturally and culturally. Though I didn’t have the opportunity to drop in, I knew I wanted to on another occasion. 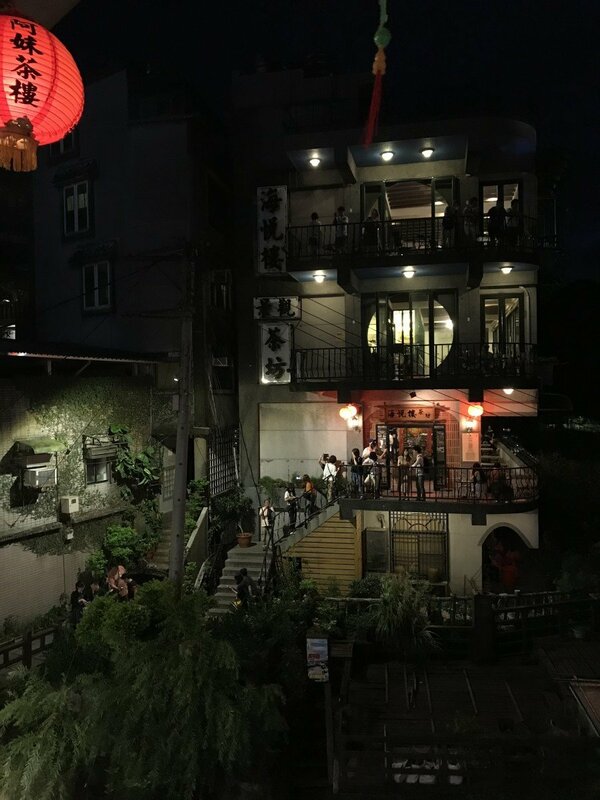 Consequently, when I got the chance to go back to Jiufen, I made it a point to stop by. We inquired about a table for two. The wait was pretty short. The downstairs area was completely empty at the time. 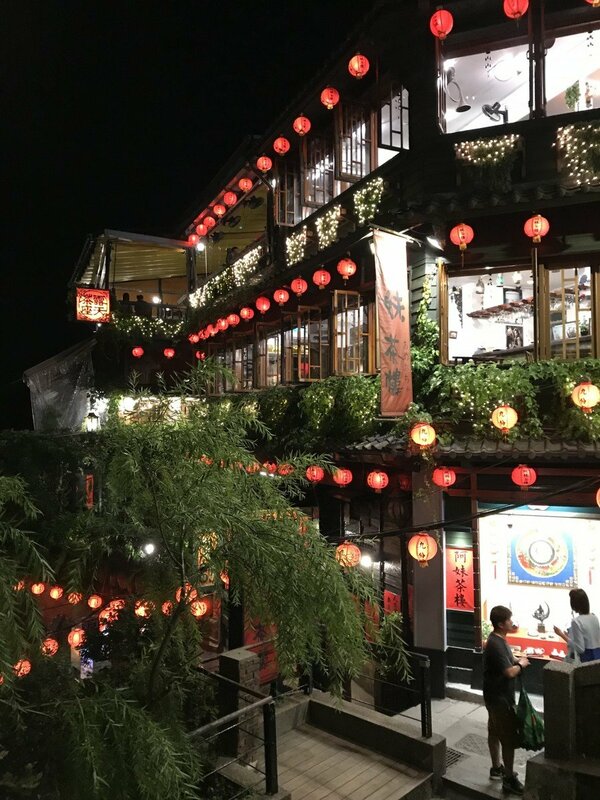 Soon enough, we found ourselves on the top floor of the teahouse overlooking the stairwell outside. Our waitress was an older woman who commanded a presence. It seemed like everyone upstairs paid attention to her orders. After getting seated, she explained in very fast Mandarin about the menu. She spoke so quickly that neither my partner or I were able to decipher what she said. When she found out that I knew some Japanese, she spoke in very fast Japanese with a Taiwanese accent. I nodded trying to comprehend but nothing was clicking. Eventually, we just decided to order red jade tea (紅玉茶 / hong yu cha) for $200. She left flustered. We sat there stressed. When she came back with our tea, she proceeded to explain the process of preparing the tea. Again, we were confused. Eventually, she got that we were understanding and called over an English-speaking waiter who helped us with our tea. Though his English left a lot to be desired, it still vastly comprehensible. The rest of the evening was nice—catching up, relaxing during the warm evening. We prepared numerous cups of tea and learned a lot about the process of preparing tea. That little cup was for smelling the aroma. 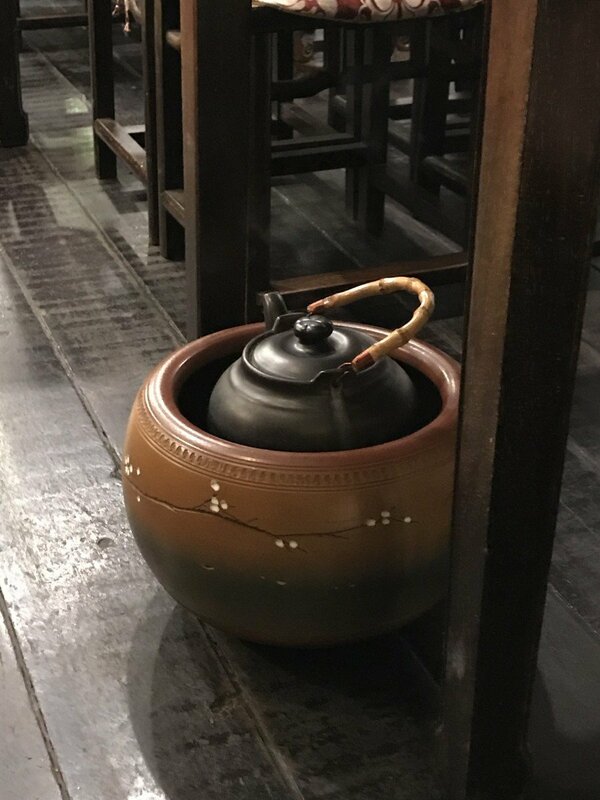 They have large pots with water heating on the floor for you to freshly steep tea. We thought we were saving time and money, but we were really only saving the former. The overall experience, minus squabble with language, was decent. 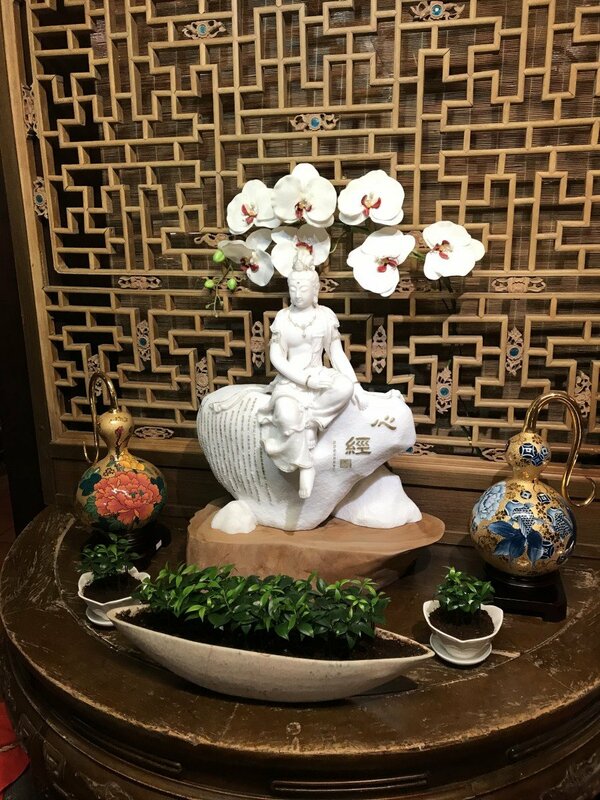 I would recommend the place if you want a higher end tea experience, but only if you clearly know Mandarin or express that you want an English speaker to help you. For what its worth, I would rather spend the same amount on good tea from Linhuatai Tea Shop. Have you ever had a bad experience because of language? What happened? 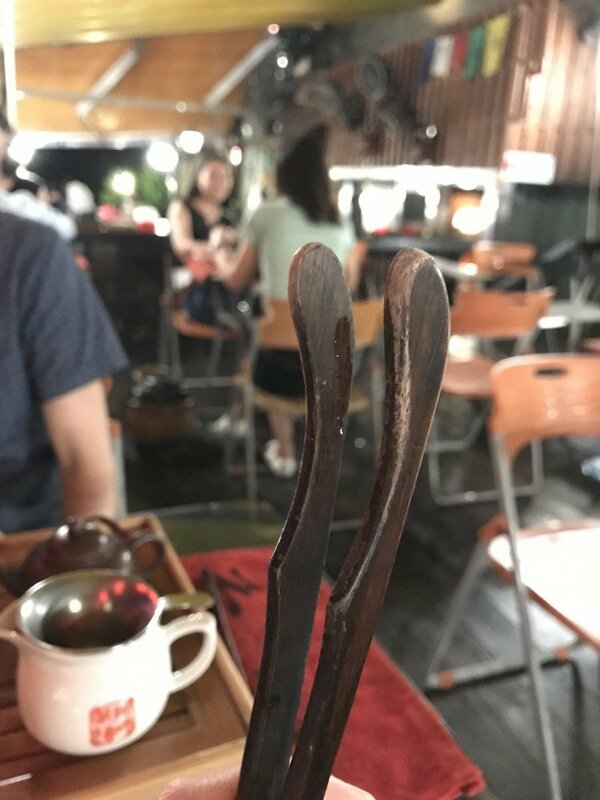 The post A $400 Mistake in Jiufen appeared first on Collecting EXP.